Disable your DSC alarm whenever the device's "Armed" indicator is set to "On," in order to prevent a false alarm upon entry into your home or business. DSC alarm systems provide users with a four-digit access code, or a proximity tag, which provides access into the device's security system. 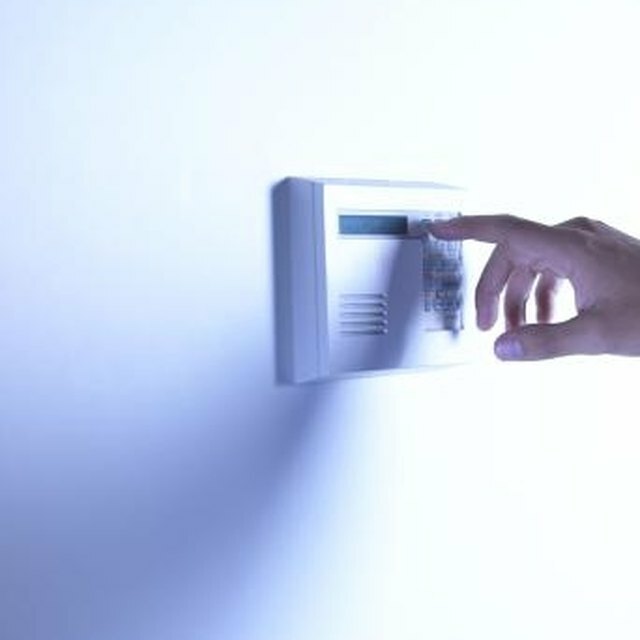 The DSC alarm must be disabled by entering the access code into the keypad before the siren alarms, or presenting the proximity tag to the device's reader, as to avoid having the authorities notified of a breach of entry. Deactivate your DSC alarm in less than thirty-seconds. Press any key on the DCS alarm's keypad if the device is in "Sleep" mode. The keypad needs to be woken up before disarming can engaged. A continuous tone will be heard for an amount of time programmed by the system's installer. Disable the alarm before the continuous tone becomes an alarm. Type your four-digit access code onto the DSC alarm's keypad, or wave the proximity card in front of the detector. Press "#" if a two-second error tone is heard, meaning that access was not granted. Verify that you have entered the access code correctly by typing it again onto the keypad, or wave the proximity card in front of the reader once more instead.